It was a surprise to see Richard Stallman's signature on a letter to the European Commission calling on them to block the acquisition of MySQL by Oracle with its proposed acquisition of Sun. The surprise wasn't primarily because of that position. Clearly we are all concerned, and clearly there is scope for free software advocates to differ in their conclusions, as the intervention by leading European free software lawyer Carlo Piana shows. I have my own views on the acquisition as well, which I hope one day to be at liberty to share openly1. But the direct subject of the letter was not the surprise. For many years, Stallman's advocacy of the GNU General Public License as the vehicle for creating software freedom has been a familiar and regular refrain. He has been happy to largely ignore other attributes of the open source communities that surround the various free software commons, and rely purely on the provisions of the cleverly-crafted license to promote software freedom. Amazingly (although not incorrectly), the letter describes that view as "naive". Following the lead in fixating on licenses alone, OSI differs only in trusting more licenses than just the GPL to be the "it's OK" indicator, even after a decade of experience. The letter's arguments imply that the dual-license model used by MySQL is the origin of the potential loss of freedom its authors fear. This model involves a vendor having aggregated copyright ownership of the free software commons at the heart of a particular open source community. While every other member of the community is bound by the terms of the open source license governing the commons, the copyright-owning company is free to do pretty much as they please with the copyright, making it available under whatever commercial terms it wants, in sub- and super-sets of function and packaging. Those terms can even include clauses that restrict the freedom of community members who choose to buy from the company - I have for example seen commercial terms that include "no fork" clauses preventing customers working on or with any version of the code apart from the one the company supplies. While commonly used in combination with the GPLv2 as the community license, dual licenses with GPLv3, LGPLv3, the Affero GPL and even with weak-copyleft licenses such as CDDL are all easy to find. The license makes no difference to the actions open to the copyright holder, who is not bound by it. Dual licensing is everywhere in commercial open source. So the letter from Stallman is a surprise because it's the first time I have really seen him acknowledge that the license alone can be no guarantee of software freedom. It takes more - including community governance, trademark and copyright ownership and administration, the percentage of core function in the commons - as partial indicators of software freedom. They need to be taken together to get the full view. 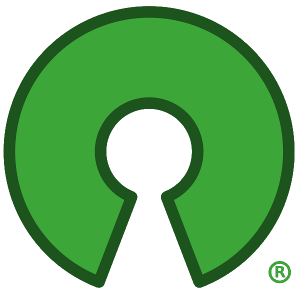 In my previous postings, I've compared "open source" with "organic", called for an expansion of the definition of open source to embrace more "inputs" and proposed drafting a "Software Freedom Definition" and creating an "Open Source Audit" scorecard to help people identify the key software freedom characteristics of vendor product offerings. My goal is not to have some nannying organisation passing judgement on open source communities, or the companies that work in them. Rather, it is to expand the number of indicators available to us all of basic open source hygiene, so that when we choose to work in any imperfect community - and they are all imperfect in some way - we are aware of the issues and have handholds when we decide to address them. Transparency and truthful labelling is the key to intelligent choice and advancing freedom through informed compromise. The alternative - the One Approved Distribution - works for almost no-one. It seems that this is an initiative whose time has come. I'd love to see Stallman and the FSF join in taking action to broaden the definitions, now that it's been admitted that the license alone is no guarantee of software freedom and that we must consider more factors in reaching a conclusion on its promotion. 1: As a current employee of Sun Microsystems and a Sun shareholder I'll not comment for or against the transaction with Oracle. Please also note that nothing said here is necessarily the position of Sun Microsystems.